The following are what I have found to be the best three cars for racing in Grand Theft Auto 5. 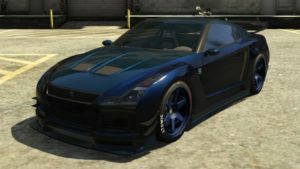 You should be able to race relatively well if you choose any of the following cars All cars are based on fully modded versions of each car, so if you decide to purchase a single car for racing as your top car in the Sports category in GTA V, you should probably pour some cash into fully modding it out. There are also a ton of Sports cars to choose from, and some are very very close in terms of performance, so don’t fret if you want to simply choose a sports car to suit your style or taste. 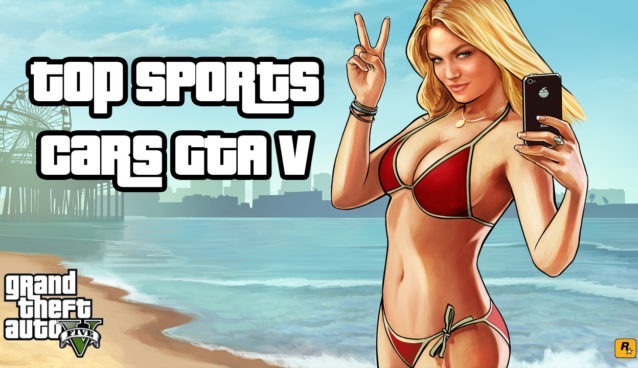 *Note: The sports cars in the top-3 spot are the TOP 3 for racing in GTA V, and the cars below them were the cars that previously held the same spot and not necessarily reflective of ALL the best sports cars in order of best passed the top 3 spots. 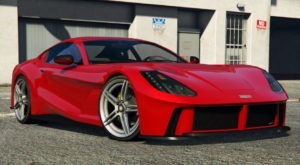 The Ocelot Pariah tops the Sports class for best-racing cars in GTA V., finally beating out the RH8 seen below. 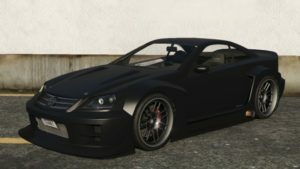 This car was released as a part of Rockstars Doomsday Heist update. Even though this car is the best for racing overall, it is pricy, so if you can’t afford it yet, you could always opt for an RH8, which is free. $1 420,000 market value in GTA V online: Legendarymotorsport.net. 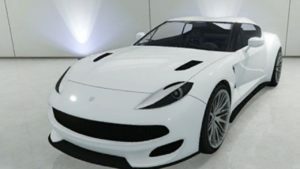 The Itali GTO was released during the continuation of the Arena War update during the Festive Surprise 2018 event. This car handles great and is very fast. The Itali GTO resembles a Lamborghini Miura Roadster, so if you want to feel like a rockstar racer, this is a no brainer. $1,965,000 market value in GTA V online: Legendarymotorsport.net. 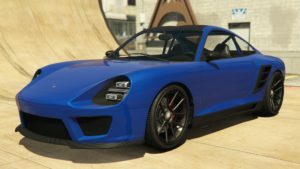 The Pfister Comet SR came out during the Doomsday Heist update released in 2018 and is said to resemble a Porsche 997 GT2 RS. The Commet is very nice to drive, has superb handling and it quite easy to drift with. So if you’re looking for an aggressive easy handling smaller sports car with great top speed, here you go. 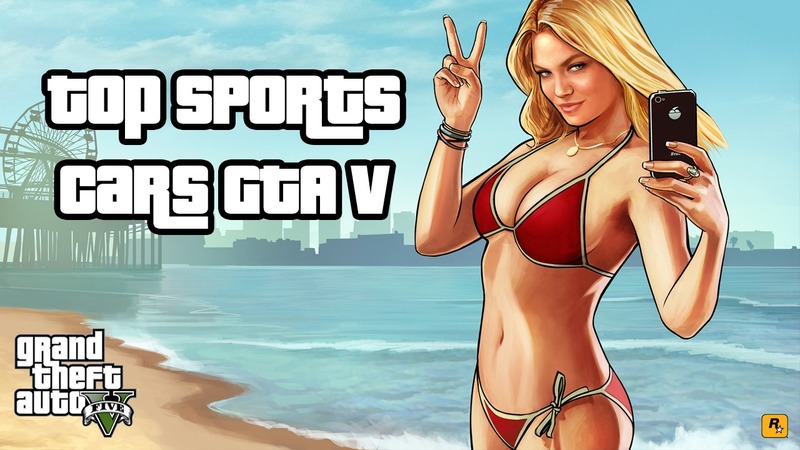 Below you will the previous Sports Cars that made it on to the top-3 best Sports Cars to race with in GTA V list. Keep in mind that the order of best cars overall in the game may not be in the below particular order since we don’t include newer Sports cars to the below top 3 list. 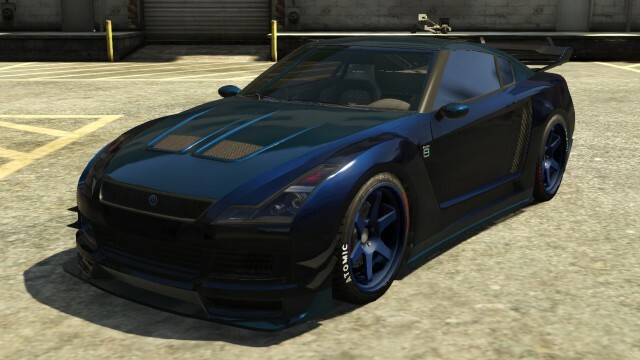 What was once the top sports car to race in GTAV, the Elegy RH8 — this car is absolutely free to purchase on the Legendarymotorsport.net in-game car store, it handles great, it has fantastic acceleration and it’s quite quick once you have it all modded out. For a seasoned racer, I would definitely recommend this car as your primary sports car class for racing. 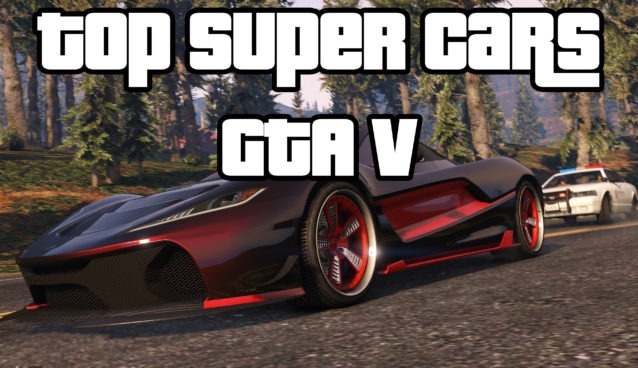 Even though it is free to purchase, you will have to fully upgrade the car which is the only cost what you really need for the best sports car in GTA V for racing. The Elegy RH8 is a very quick sports car if you are a skilled racer, it’s a good all around car and can definitely come out number one against all other sports cars in races that are not straight ways, that is most normal races. The Feltzer is relatively cheap when compare to some of the newer GTA V Sports Cars. This is an all around great car to race with. The Feltzer is based on the Mercedes-Benz SL65 in real life. $130,000 market value in GTV Online: Legendarymotorsport.net. 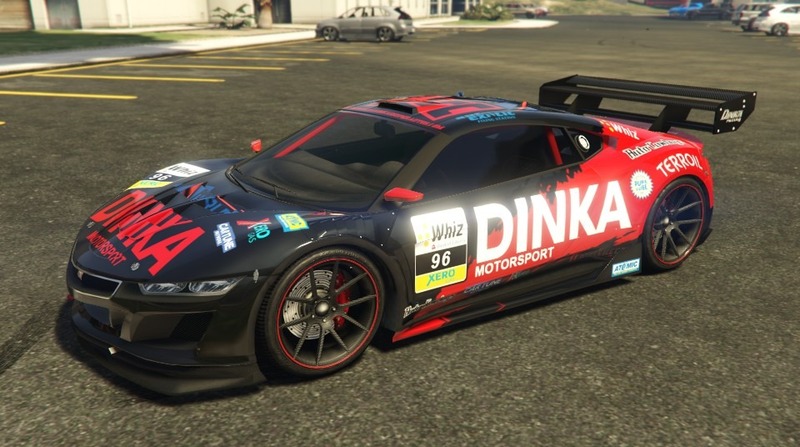 This car was a part of the Festive Surprise update and is a Jester with a racing livery from Dinka and can be bought for $350 000 from the Southernsanandreassuperautos.com in game store. This is a super quick sports car and apparently is operated with an electric motor, so there is no loss of power during gear shifts. This allows the Dinka Jester Racecar to have a quick acceleration while this car also proves to be a sturdy car able to take multiple front collisions without destroying the front wheels alignment. This can be a great car for those race tracks with differing turns and un predictable paths due to its fast acceleration. 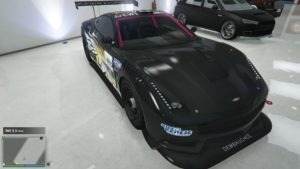 This car can also be purchased at the in game store Southsanandreassuperautos.com, it was also a part of the Festive Surprise update and can be purchased for $385 000. This car is described as a sophisticated, superior, class-obsessed and with more than a little aggression under the hood, this grand tourer from Dewbauchee is as classically British as they come. Raced tuned special edition. For racing this car has decent traction, however, it does take a little bit of getting used to in order to master tight corners. It’s quick and can do well when you get used to handling and can be a very good all around car. Learn more about the Dewbauchee Massacro (Racecar). turns out the racecar massacro has by far the best acceleration of any sports car – which makes it a great car if you can control its power and rather strange handling. the racecar jester is a very well balanced car with good overall stats, but way too little acceleration. and in most cases acceleration wins the race if you can handle the rest – just look at the zentorno beating the entity in almost every race or the akuma beating the bati most of the time. Thanks for pointing that out and those links provide some definite insight into the average stats of those sports vehicles. xD you’re right, wasn’t my intention but could very well be sarcasm. rest assured it’s the truth, though 😉 just watch the videos and you’ll see this broughy guy knows what he’s talking about. I agree, racing in sports it’s obvious that the massacro r is faster than anything else, by a wide margin. After the Executives and other criminals DLC, i’ve been using and doing very well with the Benefactor Schafter V12. It has normal accel and handling, on par with the masacro or jester, but it’s top speed is well above even some super cars. It just keeps going faster and faster. It is heavier than some so under-steer is a problem but its speed more than makes up for it. I agree 100% the Schafter V12 is the best once you get to used to its handling. Really good on straight maps, might still go with Elegy on maps with lots of corners. Pfister Comet RS? Slightly higher top speed and better braking and traction than Elegy RH8. And even in stock it has excellent accelaration.